Some time ago I sent images of a 2005-S Kansas Silver Proof quarter with a hoof-shaped die dent to specialist to review. 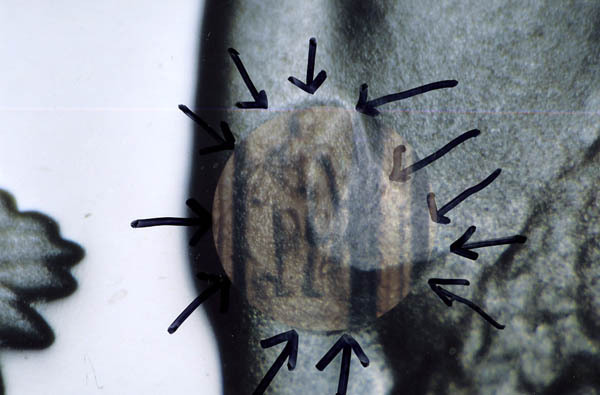 Although this dent is many times larger than others previewed as of late, some of those specialist began to draw comparisons of it to these other die dents (or in some cases possible die gouges or lathe lines) suggestive that it was about the same in size. However, this was not accurate! 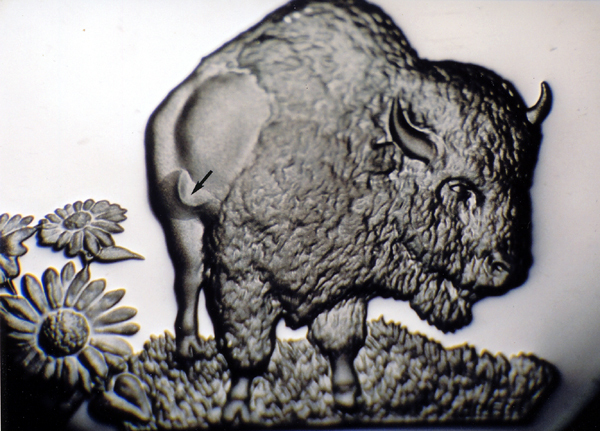 When we shoot photomicrographs at magnifications ranging from 10x to 60x or more, it is often hard to maintain perspective of the actual size differences between elements shot at different magnifications especially when from different coin designs. So to demonstrate the actual differences, I shot two Lincoln cent varieties, the well-known 2004-P Wisconsin quarters with leaf-like die dents, (all of which had entered into the discussion), at the same magnification so that the differences in size could be easily seen. 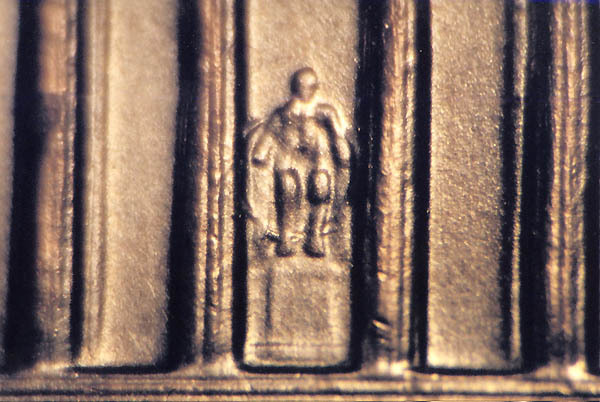 Here is a low-magnification shot of the central design on the Kansas Quarter die dent. around the statue of Lincoln. First reported by Billy Crawford, coin courtesy of Tom DeLorey. around the statue of Lincoln. First reported by John Wexler, coin courtesy of Tom DeLorey. is also quite a bit higher in relief and could encompass the mass of at least two or three of the Wisc quarter die dents! we can see that you could fit perhaps two dozen or more of them within the mass of the die dent on the KS 25c. 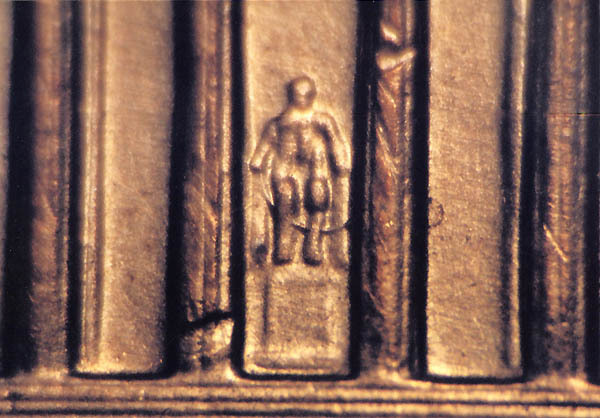 In fact the entire Lincoln Seated statue easily fits within the area of the Kansas quarter die dent with room to spare! 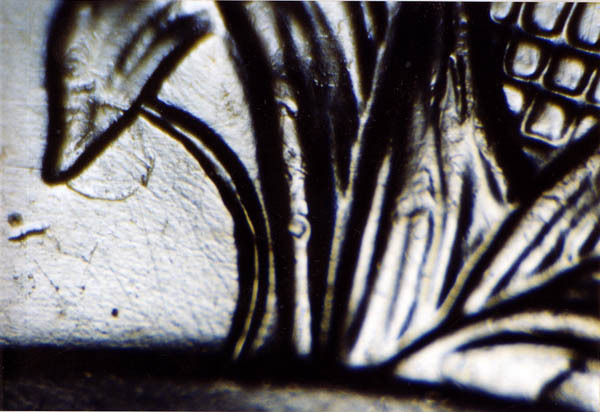 This is a close up of the 2004-D Wisconsin Quarter with Die Dent/Gouge Nicknamed "Low Leaf"
It is actually quite a bit smaller than the Kansas quarter die dent! 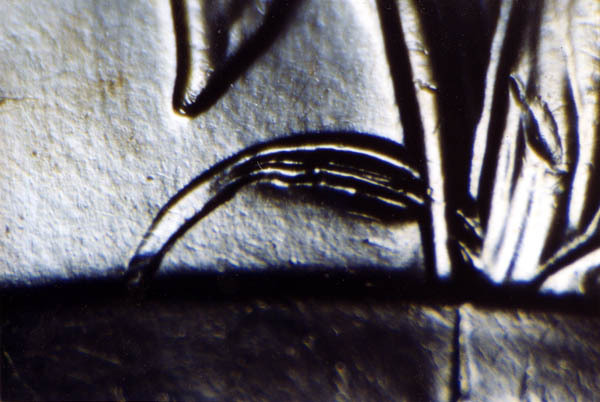 This is a close up of the 2004-D Wisconsin Quarter with Die Dent/Gouge Nicknamed "High Leaf"
Again, we can see this one is quite a bit smaller than the Kansas quarter die dent!